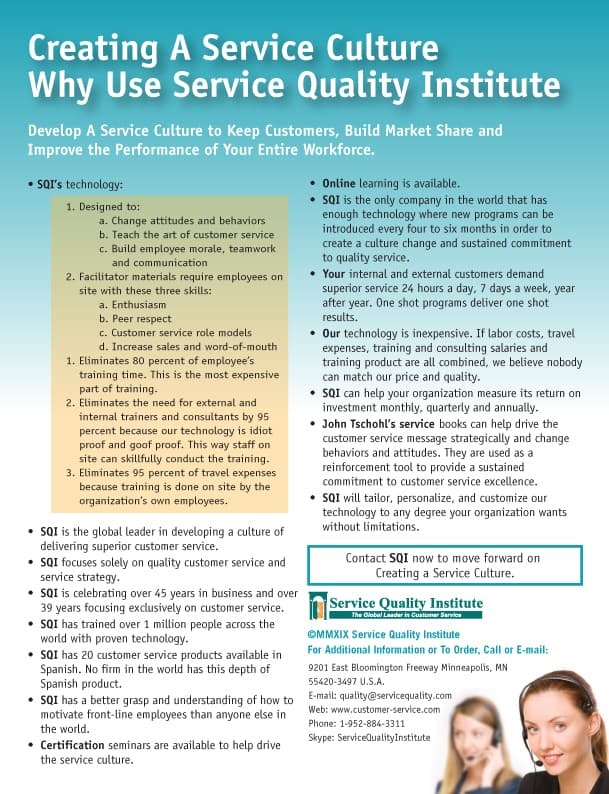 This chart shows Service Quality Institute’s 3-year customer service culture plan. Built to help your company implement a superior culture, it is tailored to your needs and environment. New customer service programs should be kicked off every four to six months, while there should be a 12 month period between BAD and GOOD Idea Campaigns. Is money a concern? Start with our low risk and inexpensive BAD cost reduction campaign and use some of the savings to fund the entire three-year plan. 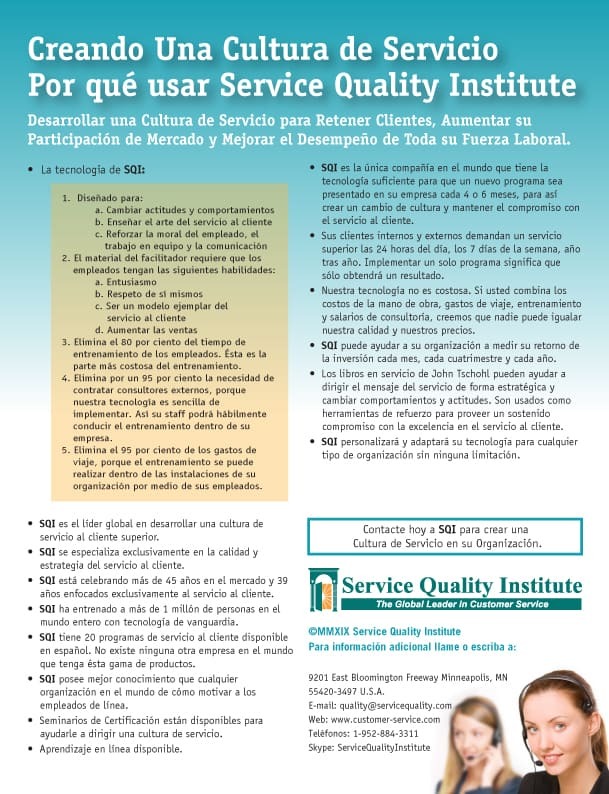 Additionally, we have a more expansive service culture plan that starts at $217/year per person for companies of 50-99 employees and goes down to $38/year per person for companies counting 10,000 or more employees. This plan includes unlimited use of our training programs, all Train the Trainer sessions and a free John Tschohl Strategic Customer Service Seminar when 2,500 or more individuals sign up. Tschohl’s books, including Achieving Excellence Through Customer Service and Empowerment: A Way of Life, and customization and shipping fees are not included. There is no charge for employee turnover. It is like a buffet. You can use any of our programs as much as you want, as fast as you want and in any order. Find out more at our store.